We offer a comprehensive range of Turnkey Projects for Food Processing to our clients. Our range of these food products are hygienically processed and use quality materials in manufacturing the products. Our range of products includes Edible Oil Expeller, Wheat/ Maize Flour Mill, Solvent Extraction, Edible Oil Refinery, Refined Sugar, Sugar Mill, Starch, Fruit Pulp Canning, Spices and Herbs. We supply these in wide range and are available at cost efficient prices. Benzene content 1,000 ppm maximum or in accordance with governing agency regulations. Please refer PDF for details. 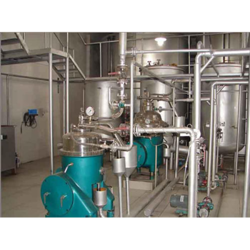 Our organization has gained vast expertise in offering a superior range of Edible Oil Refinery to our clients. These are fabricated in compliance with the industry standards and norms. 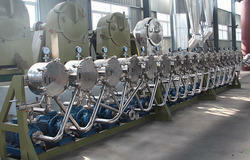 These are highly demanded for features such as minimum maintenance, mechanical mixer and effective bleaching operations. We also provide our range in various specifications, which can be customized as per the requirement of our esteemed clients. 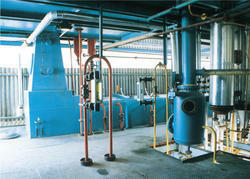 We offer these refineries at most competitive prices. Please refer PDF for more details. Looking for Turnkey Projects for Food Processing ?